** you hold the door open for someone coming the other way or simply behind you. That don't give you a smile, or a nod, or a 'thank you'. No why bother? No acknowledgement whatsoever, because you have the super power to become invisible. In this instance, providing the person isn't ancient or disabled, I really truly enjoy dropping the door on them. Ahh, the simple pleasures of life. ** when someone sees you aiming for a seat on the train, that rush up and take it in front of you, and then give a smug smile. Haven't quite worked out a solution for this one yet. Feel free to offer up one. ** when someone pushes into a queue, any queue, it doesn't matter. Bus, train, supermarket, whatever. I have a loud and very large mouth for this one. Takes a lot to embarrass me. (My friends can't believe I haven't been punched yet. Oh the age of litigation. ** when politicians promise something, then don't deliver on it, and they're not up for fraud or breach of contract. ** politicans are called 'public servants'. On servants salaries? I kid you not. How does that work for you? ** when CEO's of a company get a payout when they leave their contract early. Funny when this happens again and again from that very same CEO. What, some money passing hands under the table or what? ** when politicians get multiple pay increases a year, but no one else does. AUSTRALIA'S federal politicians are set to enjoy a 2.4% pay rise within a month, meaning their annual salaries will have jumped by almost $55,000 in less than 18 months. And believe it or not, there is a chance there could be more to come later this year. The pay rise, announced by the Remuneration Tribunal on Thursday, also applies to senior commonwealth public servants. From July 1, a backbencher will receive an annual salary of $195,123 - not including other entitlements - an increase of more than $4500 per year. Federal politicians received two pay rises last year totalling almost $50,000 - one of $44,000 in March and $5500 (3%) three months later. The latest decision comes just a week after the country's lowest paid workers were granted a 2.6% boost - a rise of $15.80 a week to $622. 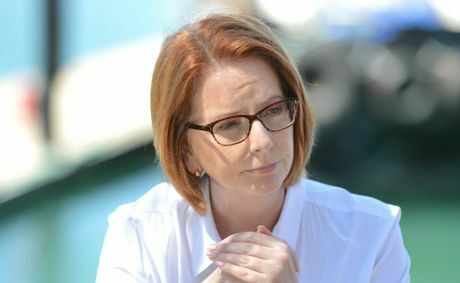 It will push the annual salary of the prime minister up $11,890 to $507,320, meaning Julia Gillard will receive almost $230 extra in her weekly pay packet. The opposition leader will get almost $8500 extra annually, taking the salary for the role up to almost $361,000. In a statement outlining reasons for its decision, the Remuneration Tribunal said while there would have been a case for a rise of more than 3%, it had taken a "conservative and incremental approach" because of uncertainty surrounding the economy and a "slowing in wage movements". But the tribunal said it would make a "further assessment of the situation in December". "If the tribunal decides that a further general increase is required before July 1 2014, it will make an appropriate determination," the statement read. Just as it had when it awarded the $44,000 increase, which contained trade-offs in terms of travel and entitlements for retired politicians, the tribunal said in its latest decision it was important pay levels were maintained at a "appropriate levels over the longer term to attract and retain people of the calibre required for these important high level offices". This, the statement read, would remove the need for "significant one-off increases". Australian Workplace Minister Bill Shorten said he was not aware of the pay rise when asked by reporters on Thursday. Mr Shorten and other Cabinet ministers will receive almost $7900 extra per year for a total salary of $336,587.